Europe is small in size but has lot of attractions for visitors. There are some destinations that obviously come to mind when you think of Europe, for example, Eastern London because it has post Olympics makeover or Amsterdam for its many attractions. However, there are many other unique places that you can visit and still get full enjoyment and entertainment. If you are planning to visit Europe here are 10 destinations you should visit. 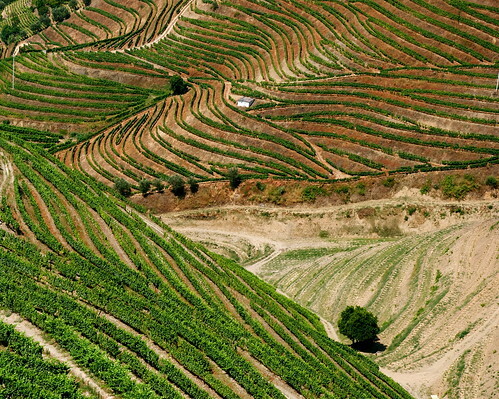 Porto is a popular city because of its fortified wines and a lot of arts. There are also large museums such as Museu de Arte Contemporânea in Parque de Serralves that has a lot of exhibitions and creative restaurants that give the city a new elegant look. There is also Douro Valley with Portugal most popular vineyards and good scenic train rides for those who enjoy riding during the day. Budapest is well known for its wild plant- landscapes, several thermal paths and also the Turkish –era Rácz Baths of the 16th century that will re-open this year after a long time closure. There are also many coffee shops, ruin pubs and garden bars like romkocsma and kertek respectively. Iceland is becoming the major attraction to many visitors in the modern days. Some of the major attractions include popular bands, long soak in hot springs and its mystery writers. Most of the focus has been on the Golden Circle, Reykjavik and the Akureyri which is the second city of this country. Here you can enjoy fields of lava, dramatic geysers and towering waterfalls. There is also nature baths at Myvatn Nature baths where you can enjoy a soak. This is one of the five towns that cling to the rugged portion of Liguria’s coastline where you can explore small hidden beaches below and go up to the height at the five scenic sanctuaries that hang above the towns and also several cultural exhibitions. You can get here with electric village buses and beautiful walking paths. This destination is popular for its robust red wines and for its local late-ripening whites. You also get to enjoy family run wineries, harvest festivals and bike rides through rolling vineyards. There are also nightlife scenes and other fantastic sceneries. Despite that this is an underrated city in Europe; it has intellectual bars and artsy boutiques. If you love Cheese you can ride bike by following Emmental Cheese Route and get full enjoyment. There are also the Buskers Street Music Festivals where you can visit and enjoy music. This is known as the European Capital of Culture in 2013 because of the many cultural exhibitions in the city. It also has beautiful Vieux Port that has been in operation for 26 centuries and still busy today. There are also beautiful mosaic and murals that demonstrates the city seafaring history. There is also plenty of seafood you can enjoy and art galleries. The country has a long coastline measuring over 2000km. Zagreb has a café scene and walk able streets where you can walk any time. There is also Plitvice Lakes National Park which is also another place you can visit with bright turquoise lakes and waterfalls. The country is ripe for exploration in 2013. It is full of yearly cultural events and a 235 m peace bridge running over river Foyle that resembles a handshake between the traditional protestant and catholic sides of the city. There is also a brand new museum in Belfast and other beautiful sceneries. There are also other attractions such as beaches, ruins, islands and seabirds to enjoy. This is the Scandinavia’s coolest capital city suitable for bike sharing and sustainable food. You can enjoy a lot of bike riding and enjoy tradition foods and new Nordic cuisine. You can also enjoy Copenhagen Jazz music. Guest Author: This post has been written by Tressy Jones. She loves to write about Travelling. She recommends Søk på hotell i Praha for providing best hotel finding services.